The British prime minister has called on the devolved parliaments of the UK to stand united on Brexit. May asked the leaders of Scotland, Northern Ireland and Wales not to undermine negotiations by striking separate deals with Brussels, although they remain in the dark about exactly what Downing Street’s position is. 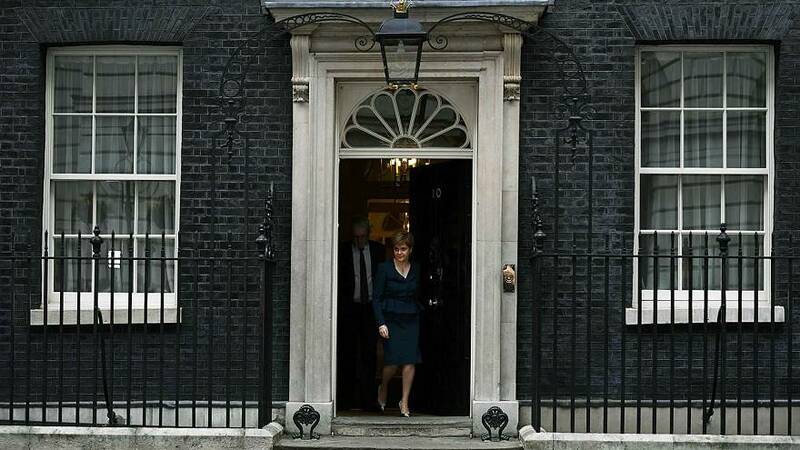 “Well, we had a frank exchange of views,” Scottish First Minister Nicola Sturgeon told a reporter. “I don’t mind admitting large parts of the meeting were deeply frustrating. I don’t know any more now about the UK government’s approach to the EU negotiations than I did before I went into the meeting, and I can’t speak for the other devolved administrations but I think there was a degree of frustration shared by all of us about that. Sturgeon said she wouldn’t let Scotland be driven off a hard-Brexit cliff edge. However, May said that it was not accurate to suggest the country faces a choice between curbing immigration and getting a good trade deal with Europe. May faces a constitutional crisis, with the threat of a second Scottish independence referendum and renewed tensions in Northern Ireland. Both nations voted to remain, and have made clear they favour access to the single market, while the government has hinted at a harder break with the EU.